Nollywood actress and humanitarian, Tonto Dikeh, on Monday takes awareness onmenstrual hygiene management and distributes sanitary pads to students of Girls Secondary School,Dutse in the Federal Capital Territory (FCT). 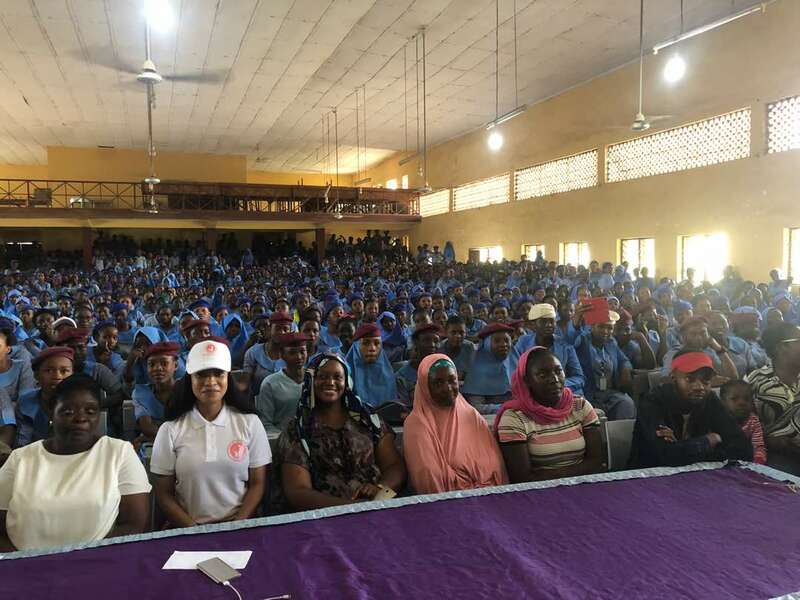 The thespian told newsmen that the gesture was to mark the 2018Menstrual Hygiene Day (MHD) for the young girls by the Tonto DikehFoundation. 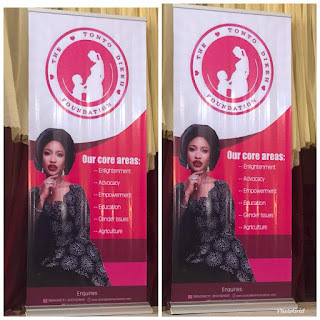 According to her, the Foundation, which is her humanitarian initiative, empowers and provides medical assistance to young women, especially the vulnerable ones. She noted that since many teenage girls were not well enlightened on how their body works, they remained ignorant and even fallen prey to tendencies that endanger their lives. “Creating a culture that welcomes discussion and makes adequate education for girls is very importance for the girl child. “Their building process involves everyone, because it goes beyond the classroom ,especially on sensitive things about womanhood and how to manage them. “There are a lot of misconceptions and myths which has misguided a lot of young girls that made them to make regrettable mistakes about their health. 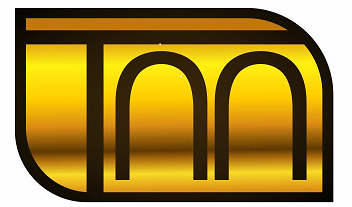 “It is high time people they see as role models and listen to, stood up and guild them , and that is what the Tonto Dikah Foundation has come to do today,”she said. 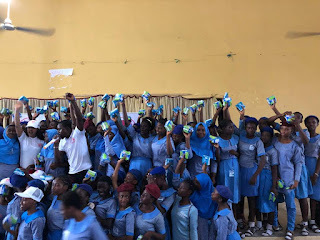 She noted that her foundation decided to provide the sanitary pads as respite to the female students,since their peculiar nature makes their upkeep financiall- involving than their male counterparts. “According to experts, depending on the flow, the pad ought to be changed six-hourly, and this requires a lot of money for an adolescent to follow. “Research has showned that not having access to menstrual hygiene management products can keep girls at home from school during their period each month. “Beside the enlightenment campaign, we offering them free sanitary pads, and we believe this will go along way in making them comfortable,” Dikeh said. Volunteer medical and public health experts of the Tonto Dikeh Foundation had interactive sessions with the students,where they were given opportunities to ask questions on female health. The students were thought how to use pads and dispose them, wash thier body, and handle menstraul pains,and were also advised to avoid self medication whenever they are having a heakthl challenge. 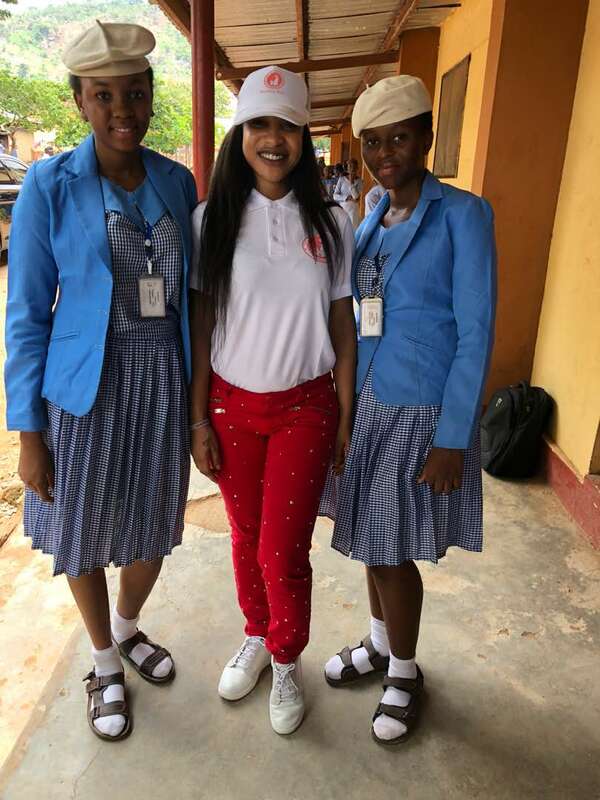 The high point of the event was when the creative and humorous ones among the students took their turns to dance and present comedy to the admiration of their visiting model and celebrity. Menstrual Hygiene Day (MHD),also known as MH Day or Menstrual Health Day,marked on May 28, is an annual awareness day to highlight the importance of good menstrual hygiene management. It was initiated by the German-based NGO ‘Wash United’ in 2014, and aims to benefit women and girls worldwide. The 28th was selected to acknowledge that 28 days is the average length of the menstrual cycle. The day recommends advocacy on adequate sanitation facilities and access to menstrual hygiene products as parts of the solution.